I used to be one of those people who hated smartwatches, I couldn’t see the reason why anyone would be bothered by them. I was worried it would make people obsessive over how many steps they’ve done that day and it was going to cause lots of issues for people. Oh look I’ve hit 10,000 steps today! Last Christmas I added a smartwatch to my Christmas list, I had found the one I liked with a pretty strap and rose gold face and kept my fingers crossed it would be under the tree on Christmas day. Yep indeed it was and I quickly got it set up to my phone and started tracking everything! It sucked me in so quickly and I couldn’t help but see how many steps I had done each day. I thought I would chat today about why smartwatches are great for Mums as I really questioned myself getting one and how it would help me, but now I feel strange not wearing my Smartwatch! I am a Mum to three children and have a big dog that needs walking each day, I was surprised how many steps I achieved just by doing the normal school runs and daily routine. I am not big on my exercise, not attending classes or the gym but I do love to walk and it was so nice to see my everyday exercise does make a difference. Smartwatches have heart rate tracking built into them, so throughout the day you’re tracking your heart rate. As I love walking I used this to push myself a little more. Walk faster on the school run (without the kids if they can’t keep up!) so that you get your heart rate going faster. This then shows up more in your active minutes and any cardio is fab for your health. OK this one might scare you when you look at the results! Being a Mum means you aren’t always going to be getting great sleep, being woken up in the night or early, or getting to bed late. However the Smartwatch will track your sleeping patterns and how much deep sleep, REM sleep and awake times during the night. I find it interesting to see how well I have slept as it explains how I might feel in the morning or throughout the day! It also allows you to try to focus on making changes to allow you to get better sleep too. 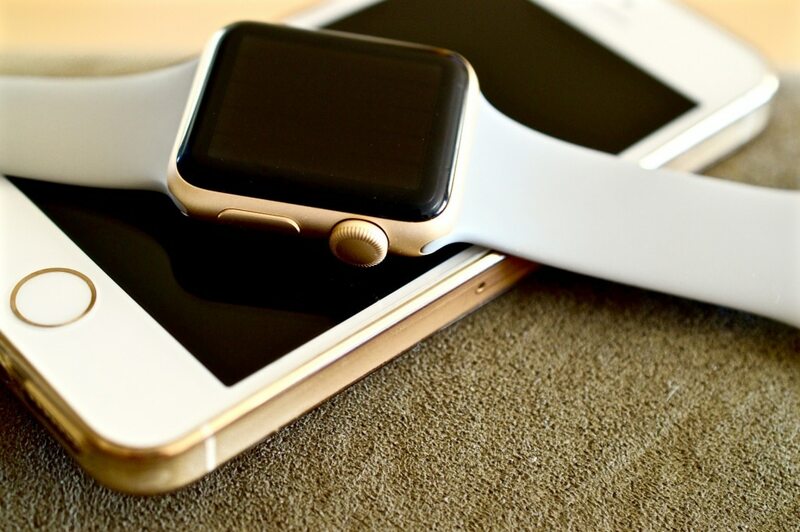 When connected up to your phone the Smartwatch can alert you to messages and calls from your phone. When your stuck somewhere or busy doing something with the children, it allows you to check if the call is important or not. Or even being able to send simple messages back without getting your phone. Some Smartwatches allow you to make payments through the Smartwatch, when your hands are full juggling everything, how easy would it be to just wave your Smartwatch to pay! Yep sometimes we just stop! When your tired, juggling everything or burnt out we are allowed to just stop! However the Smartwatches can alert you when you’ve been sat still for too long! With a little buzz to remind you to get moving. I am sure a lot of us have been there, the kids have pushed every button possible and your ready to shout! Select the relaxation mode and it will guide you through a 2 minute guided breathing session. Giving you time to re access everything and come back more chilled. Getting a Smartwatch that is water-resistant is brilliant. The amount of times we wash our hands throughout the day or splashing at bathtime, you won’t need to worry about your watch getting ruined too. Look out for the Lastest Deals around for Smartwatches, there is so many different brands to choose from with some fantastic features and styles. There is honestly a Smartwatch out there for everyone! I find my Smartwatch really motivating but not in an obsessive way and I am very pleased I got one. Do you have a Smartwatch? I am a bit late to the party with smart watches and can’t get my head around them. I think I am worried I’ll spend all that money and not use half it’s functions because I can’t work it!! They are super easy to use! Mines only got one button!!! I have a couple of smartwatches. I love them so much. I have never been a fan of watches: I tried the fitbit for a couple of weeks, enjoyed the reminders and the little awards but that was about it. But that’s just me, my husband can’t go anywhere without his watch and with all the features you listed, it is easy to understand why. So convenient to be able to pay without looking for your card evereywhere! It’s pretty convenient isn’t it! I love my smart watch! Its a great way of keeping organised on the go and I love the sleep tracker! Thats always interesting isn’t it to what your sleep was like!! I love smart watches and love checking my heart rate and counting my steps. Oh wow I had no idea they did so much. I wear a watch everyday, I need to look into these! They do loads don’t they! I’m very much on your old mindset as we already have way too many tech lying around, have had given a Fitbit and used it for a couple months to track steps but then just forgot about it. I like the ways you listed to use a smartwatch, it has definitely made me curious about one and I’m not even a mum! I haven’t worn a watch in years but I like the idea of a smartwatch – I’d just worry that I’d be glued to it all the time, but it would be super for reminding me about things like drinking more water and exercsiing! I was to start off with but find it so handy now, there are some really pretty ones now too.